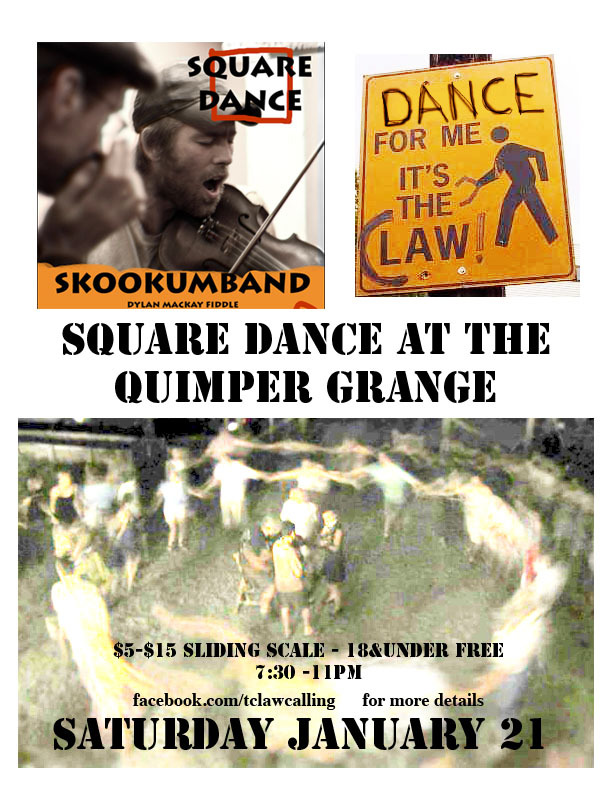 There is a special square dance at Quimper Grange on January 21st. Sliding scale $5.00 to $15.00 for adults. Under 18 free! Live music, all dances taught, great social time. Come on your own, as couple, or as a group. All ages welcome. Details below. 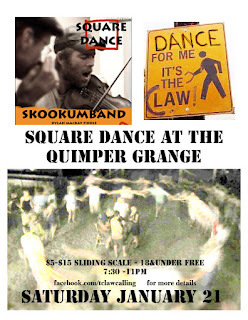 Caller and fiddler T-Claw will be coming all the way from Tennessee to call this dance. T-Claw grew up in Nashville, TN playing mostly punk and metal. 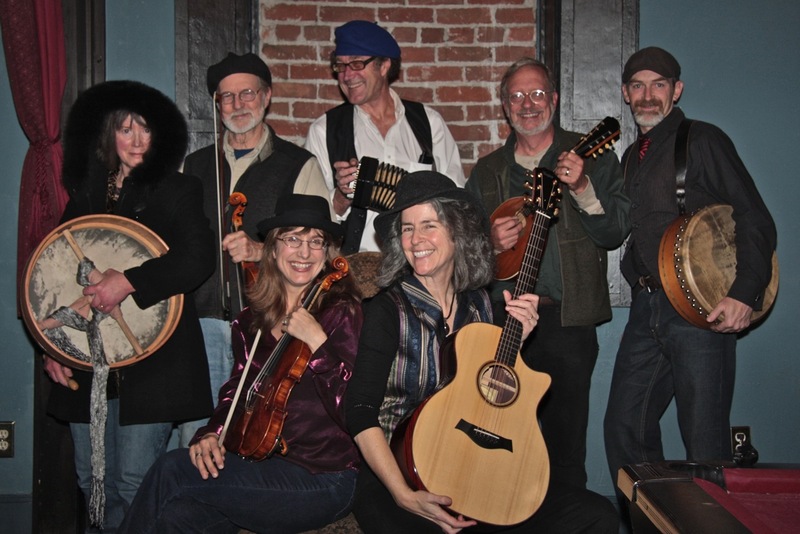 When he moved to the NW he joined thriving and vibrant old time music and dance scene here. T-Claw moved back to Tennessee a couple of years ago, but is currently on a dance calling tour in the Northwest! Beginner and experienced dancers welcome. Adults: $5.00-$15.00 ; 18 and under free!